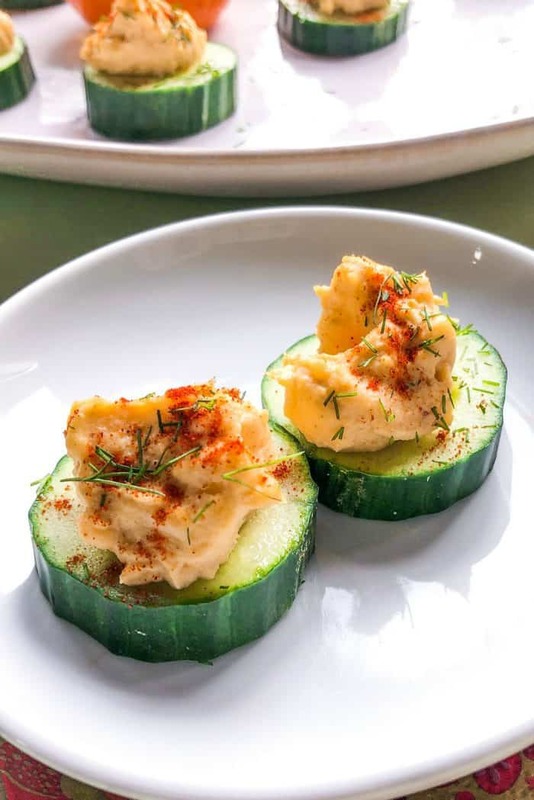 Use leftover Easter eggs (or hard cooked eggs), mayonnaise, mustard, chives, pepper, fresh dill, and paprika for these Deviled Egg Canapés! A big party hit! 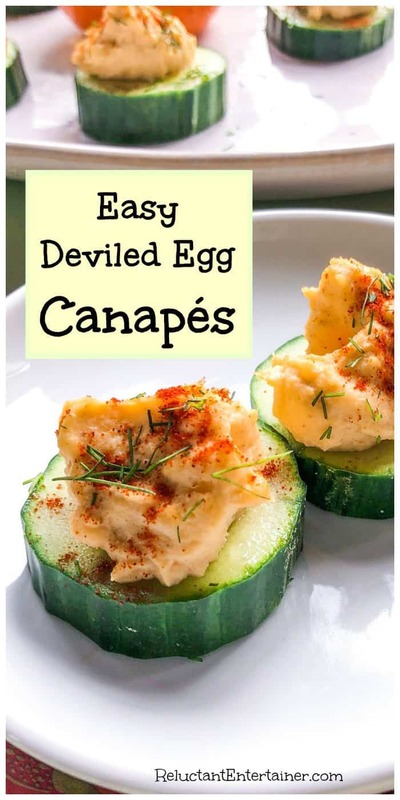 I love this Easy Deviled Egg Canapés recipe because they are super easy to make, and everyone loves them. Prepare the cucumbers ahead, by scooping out the center. Make the deviled egg mixture ahead. 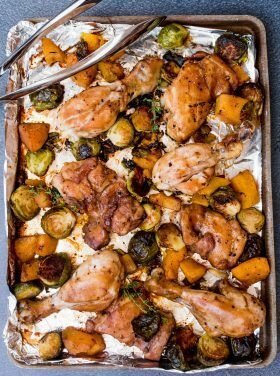 Assemble right before you’re ready to eat them! 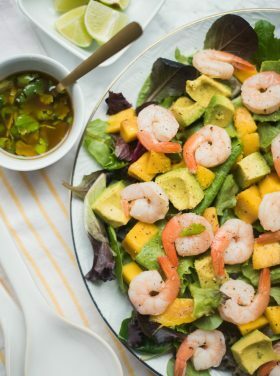 You may also want to try Canadian Bacon and Pineapple Kabobs, Spinach Dip Red Cabbage Bowl, Strawberry Goat Cheese Bruschetta, or Guacamole Deviled Eggs! What I love about Sundays and weekends and holidays is that we get to gather. We get to come together and eat and enjoy one another’s company. How boring life would be without other people in our lives. I would get pretty sick of myself, that is for sure. 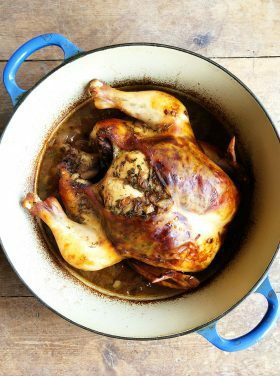 For us, it’s not just hosting at Easter and Christmas, but all year long! We do feel inspired, more hopeful, more loved, and hosting brings us joy. I know in my heart that our guests leave feeling more joyful, because when I’m the guest, I always feel this way. 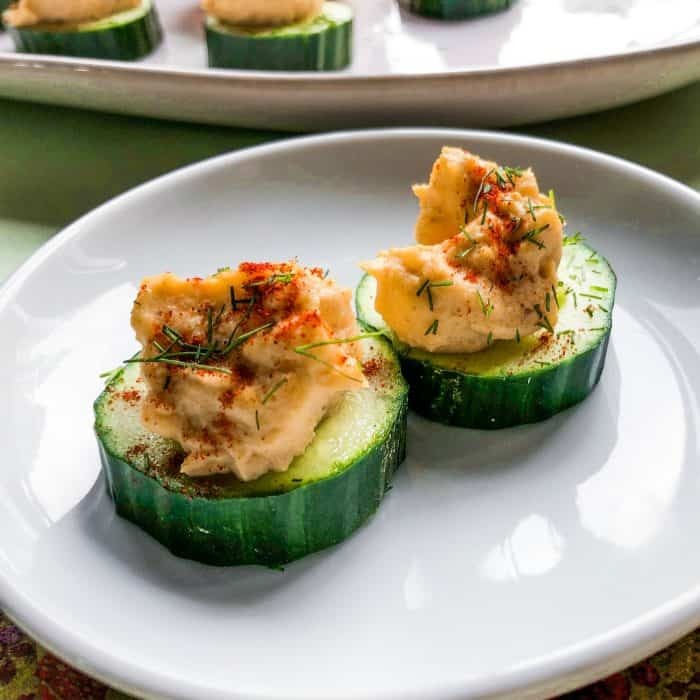 A canapé is an hors d’œuvre, or a small, morsel, prepared and eaten in one bite. They are sometimes decorative on a small cracker or a piece of bread, puff pastry, or a vegetable slice. And they are usually delicious! In other words, they are an appetizer, usually served before dinner. 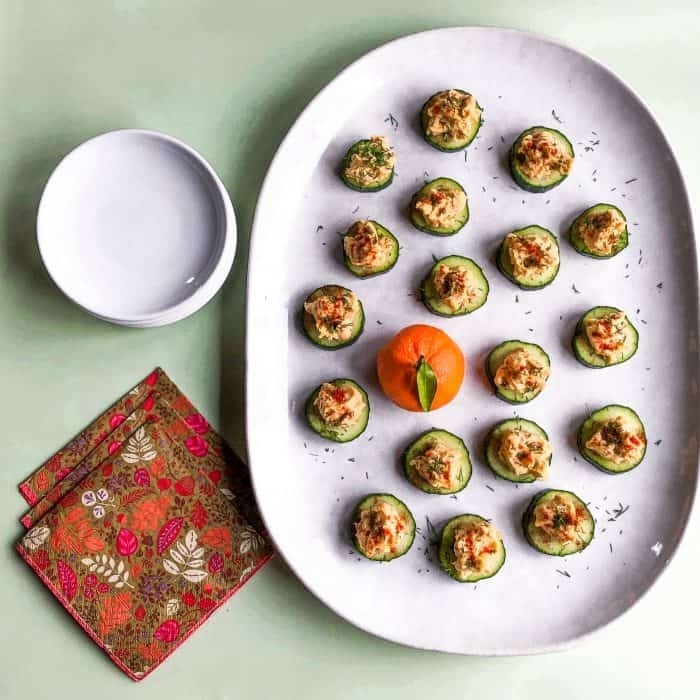 Try more Canapés recipes: Easy Ritz Cracker Canapés [The View from Great Island], and Dried Apricot Blue Cheese Canapes with Walnuts. 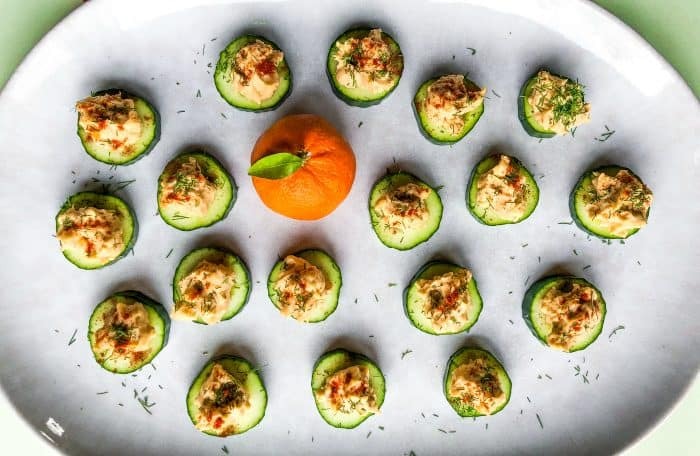 What is the difference between hors d’oeuvres and canapes? 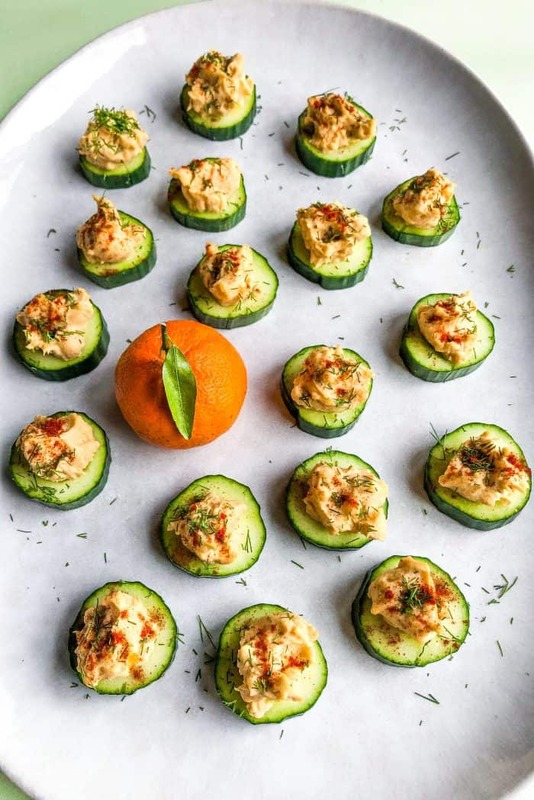 Canapes are a type of hors d’oeuvre. 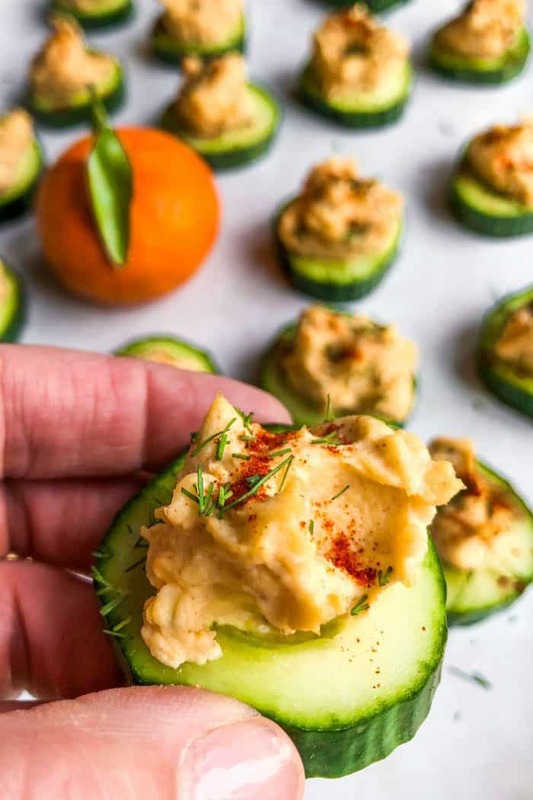 They are usually served as “one bite,” where as hors d’oeuvres could be something a little more complicated, like these Anytime 4 Party Appetizers! What is a canape made of? A canapé usually has five parts: A base, and the spread, topping, garnish and glaze. There’s a good reason you never see a leftover devilled egg or a canapés in our house. ps. if you’re really inspired to try something new for spring and Easter, try making my Epic Spring Charcuterie Board. 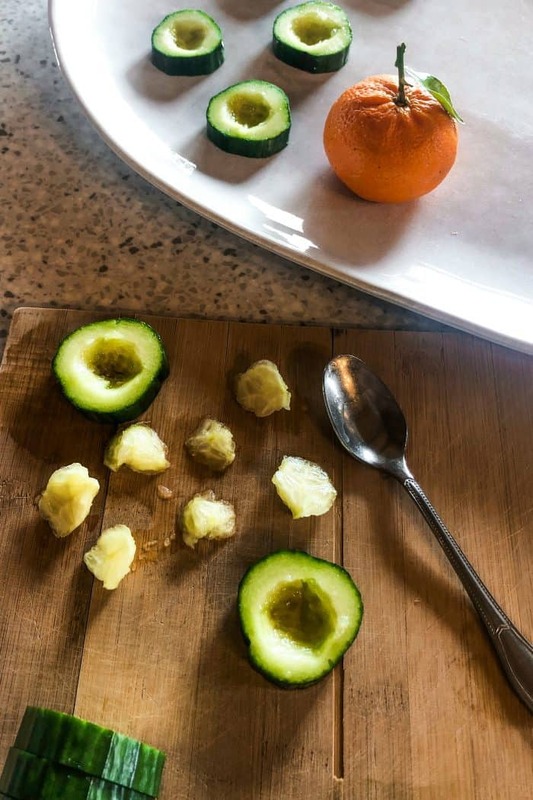 Slice the cucumber into 18-24 slices and scoop out the center with a small spoon. Set aside. Mash egg yolks in a bowl with a fork. Stir in the mayonnaise, dijon mustard, and fresh chives. Add ground pepper and gently mix together. 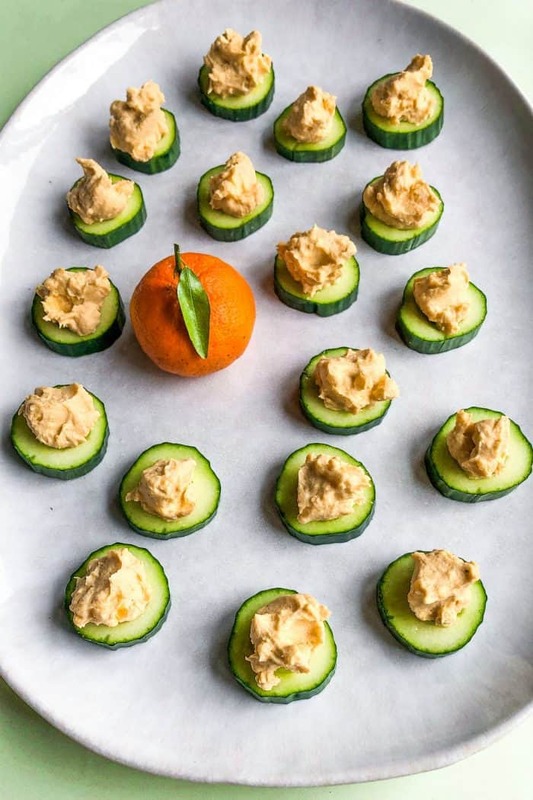 Lay the slices of cucumber on a serving platter. Spoon egg mixture onto cucumber slice. 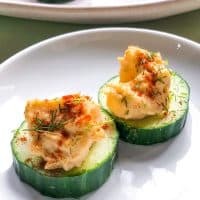 Garnish with paprika and fresh dill; serve!